The Cranberries singer Dolores O'Riordan was 'dreadfully depressed' before her sudden death in a hotel aged 46, friends of the troubled singer have revealed. The Irish rock star was found in a room of the Hilton London in Park Lane at 9.05am on Monday, while Metropolitan Police said the death was being treated as 'unexplained'. Her publicist did not comment on how she died, other than it say it was 'sudden' and that her family back in Ireland are 'devastated'. Last year the 46-year-old revealed how she had been battling depression and mental health troubles for much of her career, culminating in an attempt on her own life in 2013. She was diagnosed with bipolar disorder in 2015, and has also spoken of struggling with eating disorders, alcoholism, and living with abuse carried out when she was 'a little girl'. Friends of the singer said that she was 'dreadfully depressed' in the weeks before her death, according to TMZ, and that she was also suffering from back pain that had forced her to cancel gigs for much of 2017. 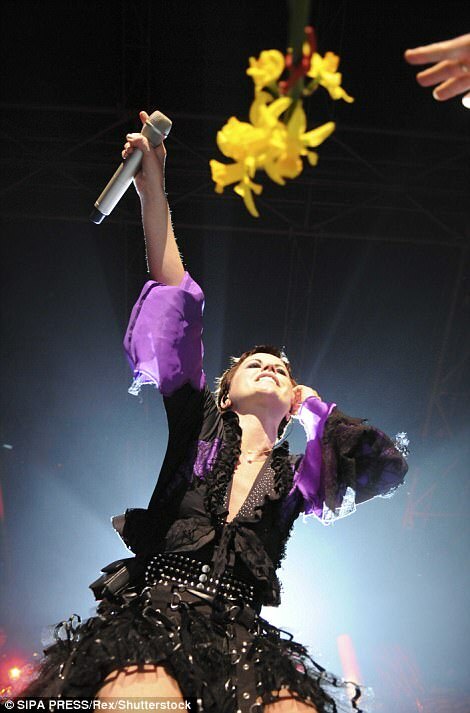 In a tweet, the other band members wrote: 'We are devastated on the passing of our friend Dolores. She was an extraordinary talent and we feel very privileged to have been part of her life from 1989 when we started the Cranberries. Miss O’Riordan had three children with ex-husband Don Burton, a former tour manager for Duran Duran to whom she was married for 21 years. Their son Taylor, 20, and daughters Molly, 16, and Dakota, 12, live with their father in Canada. A statement from her publicist said: 'Irish and international singer Dolores O'Riordan has died suddenly in London today. She was 46 years old. 'The lead singer with the Irish band The Cranberries was in London for a short recording session. No further details are available at this time. A Met Police spokesperson said: 'Police in Westminster are dealing with a sudden death. 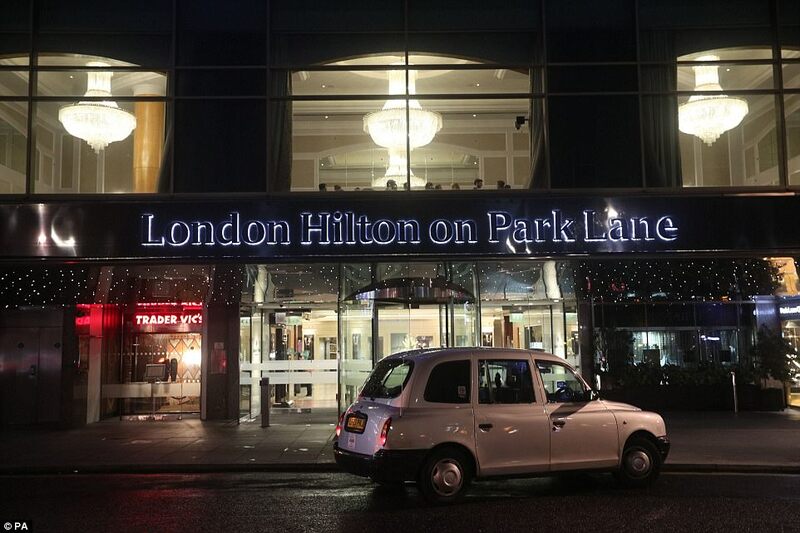 'Officers were called at 9.05am on Monday to a Hotel in Park Lane. A woman in her mid 40s was pronounced dead at the scene. Her band had recently played in South America, and she tweeted pictures of fans in Lima, Peru in December. James Corden and Duran Duran are among the stars to pay tribute to The Cranberries singer Dolores O'Riordan. Comedian and TV star Corden said he met the singer when he was 15. Duran Duran said they were 'crushed to hear the news. Our thoughts go out to her family at this terrible time,' they added. Dave Davies of The Kinks shared a picture of himself with O'Riordan. The parish priest from her home town has confirmed her funeral will take place in Ireland, where she will be buried. Father James Walton, parish priest at Ballybricken & Bohermore Parish, said: 'I only found out this afternoon. Her family is very devastated and upset. 'The suddenness of her death has been a shock. I met Dolores two or three times when she was home visiting family. She was a lovely lady. 'Her family are still waiting for more details to come from London about her death. 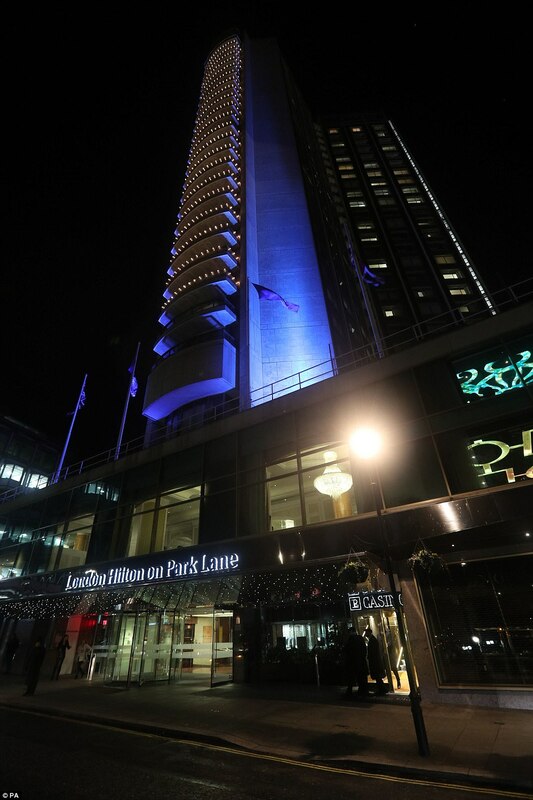 A spokeswoman for London Hilton, on Park Lane, said: 'It is with deep regret that we can confirm a guest sadly passed away at the hotel on Monday 15th January. 'We offer our sincere condolences to their family at this difficult time. Last year she revealed that she had been diagnosed with bipolar disorder in 2015, having battled with depression during much of her career. She told Metro: 'There are two ends of the spectrum — you can get extremely depressed and dark and lose interest in the things you love to do, then you can get super manic. 'I was at the hypomanic side of the spectrum on and off for a long period but generally you can only last at that end for around three months before you hit rock bottom and go down into depression. The Cranberries last released an album in early 2017, but a US and European tour was cancelled in July due to health reasons concerning O'Riordan. On December 20 O'Riordan tweeted from the band's official account, writing: 'Hi All, Dolores here. Feeling good! 'I did my first bit of gigging in months at the weekend, performed a few songs at the Billboard annual staff holiday party in New York with the house band. O'Riordan split from her husband of 20 years, the former tour manager of Duran Duran, Don Burton, in 2014. She was ordered to pay €6,000 to charity for headbutting, kicking, hitting and spitting on police officers following an alleged air rage incident. Medical reports produced for the trial at Ennis District Court revealed she had been suffering from mania, mental illness and severely impaired judgment at the time of the incident, and that she remembered nothing about it. O'Riordan was mother to son Taylor and daughters Molly and Dakota. President of Ireland Michael D Higgins led tributes to the singer, saying: 'It is with great sadness that I have learned of the death of Dolores O'Riordan, musician, singer and songwriter. 'Dolores O'Riordan and The Cranberries had an immense influence on rock and pop music in Ireland and internationally. 'I recall with fondness the late Limerick TD Jim Kemmy's introduction of her and The Cranberries to me, and the pride he and so many others took in their successes. Irish band Kodaline also offered condolences, writing on Twitter: 'Absolutely shocked to hear about the passing of Dolores O'Riordan! The band split up in 2003 but reunited several years later, last releasing the acoustic album Something Else in 2017. 'At home I'm a house-keeper and a mum. The kids are, like, "What's for dinner? Where are my clothes?". On tour it's, like: "room-service",' she said of the comeback. She became a multi award-winning musician after becoming lead singer of the band when she was just 18 and went on to sell tens of millions of records. The Cranberries and D.A.R.K front woman had been rehearsing in Limerick venue Dolan’s Warehouse last month, and had been planning a home town gig, staff said. A book of condolence is expected to open from 10am, Tuesday morning, at Limerick City and County Council’s headquarters at Merchants Quay. Local singer songwriter Brian O’Connor, who passed on his 'sympathies' to O’Riordan’s family and her band mates, said he was 'in total shock' at news of her death. O’Connor, a close friend of Cranberries guitarist Noel Hogan, described O’Riordan as 'an icon' in the music industry. Paying tribute, he remembered first meeting O’Riordan in the early 1990s, whilst she attended her debut recording sessions with The Cranberries at Xeric Studios, Limerick, run by the bands former manager Pearse Gilmore. 'I knew Dolores in the early days. I remember her being in the recording studio and she was obsessed with instruments and music. I can't believe it. It's absolutely shocking,” O’Connor said. 'It's just a terrible shock. She was a fantastic talent. In fact, she was a great great iconic figure in Irish music, no doubt about it,” he said. O’Riordan grew up in the tranquil rural townland of Ballybricken, 17 kilometres from Limerick city. She she also lived in Patrickswell. The close-knit community of Ballybricken were rallying around O’Riordan’s “devastated” mother Eileen, and her six siblings. O’Riordan’s father Terry passed away after battling illness in 2011. It's expected the Limerick rock star's remains will be flown home to Ballybricken for burial, however no funeral plans have been formalised. Brigid Teefy, a family friend, who lives in Ballybricken, and is a local Independent councillor, was in deep shock at hearing of O'Riordan's sudden death. 'Oh my God, it's just unbelievable. It's a huge shock for is all here. Dolores was such a talented lady. We are all very proud of her,' Teefy said. Passing on her 'deepest sympathy to Dolores’ own children, her mother, and her while family', Teefy added. 'It's hard to take it in'. O'Riordan was also a regular on the jogging trails along the Condell Road in Limerick city, despite being an international music star. She had rehearsed in Limerick music venue Dolans Warehouse a month ago and was planning to play there soon, staff said. O’Riordan’s new music project D.A.R.K had to cancel their first ever Limerick gig at Dolans in 2016, citing O’Riordan’s ongoing battle with back pain. Neil Dolan, son of owner Mick Dolan, said everyone at the venue was 'devastated'. Dolores O'Riordan poses with her European Border Breakers Award in 2008, following the release of her solo album Are You Listening? Limerick Metropolitan Mayor, Sean Lynch, a former detective who helped put behind bars some of Limerick’s most motorists hardened criminals, said he was so shaken by O'Riordan's death could not bring himself to attend a meeting on the future of policing in the region being held this evening at Thomond Park, the home of Munster rugby. 'I'm absolutely (shocked)...I couldn't go to the meeting. I can't get over it. I'm totally shocked,' Lynch said. 'She lived in Patrickswell as a young girl. I wanted to give her a mayoral reception before I ended my tenure. I'm sitting in my car and I just can't believe it. It's such a sad sad story. She put Limerick on the world stage. Poor Dolores,' he added. Paying tribute Lynch said O'Riordan 'never ever forgot her roots'. Lynch said he admired O’Riordan for many reasons, especially for her strong character. 'My deepest sympathies go to her family. What a loss to Limerick, what a loss to Ireland. We won't see the likes of her again,' Lynch said. Family friend, Canon Liam McNamara, who was a co-celebrant at Dolores’ 1994 wedding to 80s rock group tour manager Don Burton in Holycross Abbey, Co Tipperary, told the Limerick Leader newspaper: 'My heart goes out to the family. Dolores was their pride and joy. We all loved her very, very much. ''She got on well all the way through her life. I was very disappointed to hear today that she has left us so early in life. Her family did so much for her and supported her all the way through,' added Canon McNamara, who also officiated at the funeral Mass of Dolores' father Terry in Ballybricken in 2011. Fr James Walton, priest in Dolores' home parish of Ballybricken, expressed his deepest sympathies to the family. 'I wish to extend my deepest sympathies to the family. I am just going down to meet the family now,' Fr Walton told the Leader. 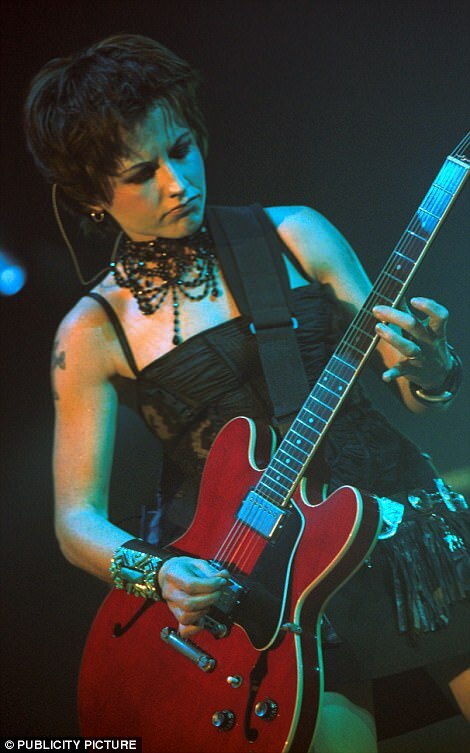 Born and raised in County Limerick, Dolores O'Riordan was still in her teens when she answered an advert for a female singer for a rock band called The Cranberry Saw Us. Having written her own songs since she was 12, she tried out for the group by showing off both her lilting vocals and her ability to pen melodies and words for their demos. Existing members Mike and Noel Hogan and Fergal Lawler snapped her up and together they became The Cranberries, increasingly becoming known for O'Riordan's distinctive wailing voice. 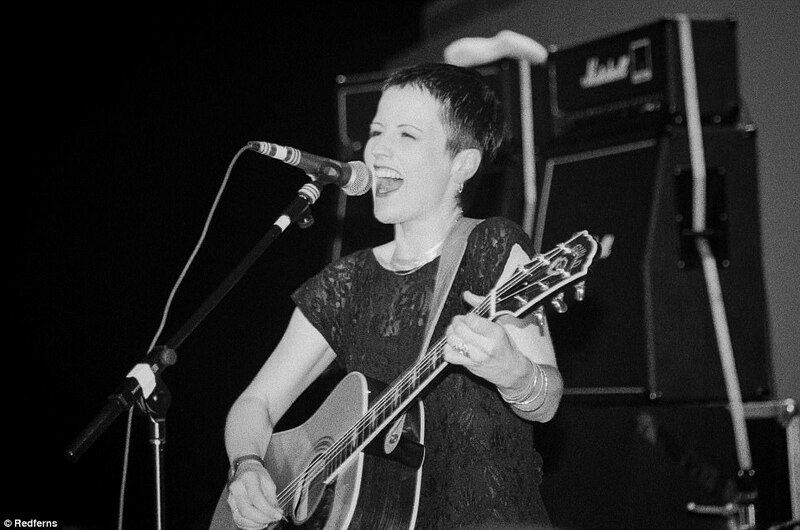 One of the demos she had worked on for her audition was Linger, which gave The Cranberries a number three hit in Ireland in 1993 and proved to be their breakthrough track. More success followed with songs such as Salvation and Zombie, which scooped a coveted Ivor Novello Award. They unveiled their debut studio album - entitled Everybody Else Is Doing It, So Why Can't We? - in 1993 and it topped the charts. Successful follow ups No Need To Argue and To the Faithful Departed came in 1994 and 1996, cementing the band's status as a mainstream international rock band. To date the group has sold over 40 million records. But by 2003 it was time for a change and the band announced they were taking some time off to pursue other opportunities. O'Riordan seized the opportunity to pursue a solo career and released the albums Are You Listening? (2007) and No Baggage (2009). But while her musical ventures thrived, the singer was battling depression and mental health troubles in her personal life. In an interview in 2013 she said she had been abused as a child which she said later led to an eating disorder and a breakdown. 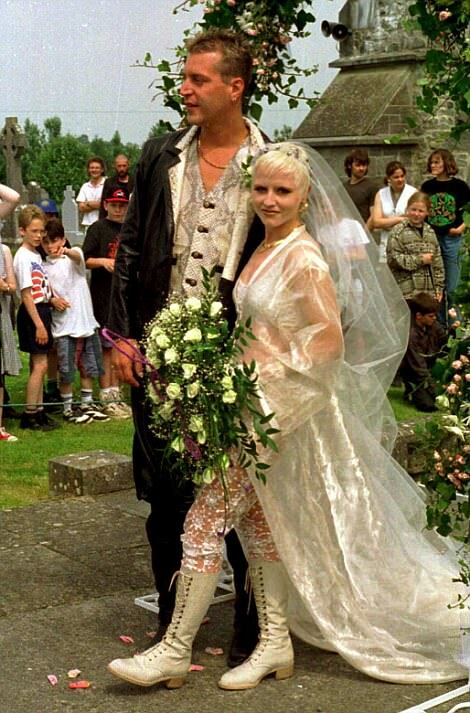 O'Riordan married Don Burton, the former tour manager of Duran Duran, in 1994 and they had three children. Her family, she said, were her 'salvation'. But there was more heartbreak ahead, with the singer losing her beloved father in 2011 and her marriage coming to an end in 2014. 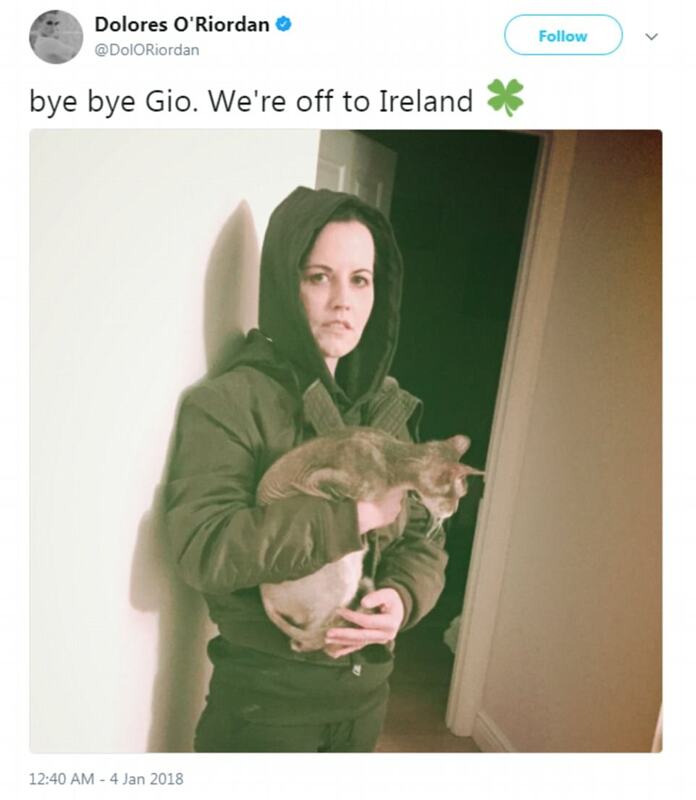 Two years later O'Riordan was ordered to pay 6,000 euro to charity for headbutting, kicking, hitting and spitting on police officers following an alleged air rage incident. The singer had previously admitted three assaults and obstructing a garda after being taken off an Aer Lingus flight from New York's JFK to Ireland in November 2014. Medical reports produced for the trial at Ennis District Court revealed she had been suffering from mania, mental illness and severely impaired judgement at the time of the incident, and that she remembered nothing about it. Last year she revealed she had been diagnosed with bipolar disorder in 2015. She told Metro: 'There are two ends of the spectrum - you can get extremely depressed and dark and lose interest in the things you love to do, then you can get super manic. The star said she was dealing with it with medication. In another revealing interview O'Riordan told the Irish News that depression 'whatever the cause, is one of the worst things to go through', but that her family had given her happiness.